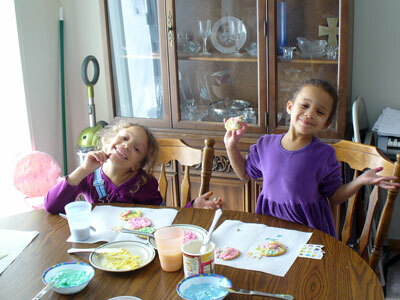 Lila and Eva decorating cookies at Richardsons. Thank you Richardsons for having us over for egg-painting and cookie decorating! We had a great time!